And this is the bit of the site where I talk about myself and my various publishing achievements. Nobody really likes doing this, do they, but then I look at some of the books I’ve created and the nice things people have said about them and that feels pretty good. I’ve always thought that a good publisher brings a mix of creative, commercial and communication skills. Every publisher I’ve ever met has had these skills in some kind of uneven blend. I’m sure that goes for me too. I’m a published author and experienced editor and picture researcher. I love the creative part of what I do, because I’m naturally an ideas person. And there is nothing more satisfying than having an idea, and then another idea, and another, until you arrive at the really good idea that makes your project special. 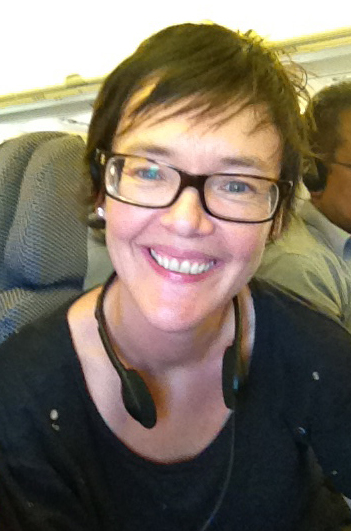 Many years experience publishing in varied environments in the UK, US and Australia gives me a global perspective and a feel for lots of different types of books. Often publishers and editors specialise in, say, fiction or academic books, but I’ve worked across a broad range and I like the diversity – every book is a new challenge. I guess I’d say I’m the entrepreneurial type, because everywhere I’ve worked I’ve built up a new program of books that extend on the existing business, encouraged new authors, and created new products. Some people might find this boring, but I’ve always been interested in the business of making money from books. Not just for the money’s sake, but because it means people are buying your books, which means they like them, which means that great idea you’ve had has resonated with readers. And that is really what it’s all about. 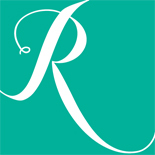 I have plenty of senior management experience, which has given me staying power in meetings… and it has also given me lots of great skills such as managing budgets; writing business plans and pitches, researching markets, analysing data, reports and numbers, developing brand strategies (are you still with me?) and working out how to get lots of books to the printer on time without blowing the budget or having a minor emotional meltdown. Some publishers like to lunch a lot (and talk a lot), others prefer to be buried under the safety of a piles of paper. I like to think I’m somewhere in between. You’d expect exceptional written and verbal communication skills. Also, as a writer I am a keen observer of the world around me and a good listener and I love other peoples stories. In person, I’m confident, articulate, and a lateral-thinker, with a passion for people and ideas. At HarperCollins Australia, I managed bestselling authors and some of Australia’s biggest brands, such as donna hay, Bill Granger, MasterChef, and, in the general illustrated reference category, Yates Gardening Guides and Pizzey Bird Guides. Non-illustrated titles on my list include the biography of the former prime minister as well as a range of history and popular narrative titles. A sample of books that I published during my time with HarperCollins. At Pearson Australia, I managed the magazines publishing unit, in print and online, including the delivery of sixteen magazines to market on time and on budget. I developed all the content ideas, created flat plans for each magazine; managed freelance and in house team of illustrators, photo researchers and photographers, editors, production editors, designers and writers, and was also responsible for full magazines site relaunch. 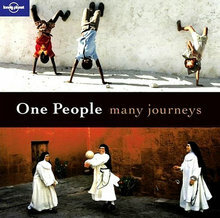 At Lonely Planet, where I was the Trade and Reference Publisher, I managed illustrated books, travel literature, activity and special interest travel guides, calendars, diaries and phrasebooks, and I published many timely, bestselling and award-winning illustrated books such as The Travel Book, The Cities Book, Bluelist and One Planet. I published Lonely Planet’s highest-grossing (revenue) title ever, The Travel Book, which has sold well over 500,000 copies globally. I got so much satisfaction from this project. It was a simple idea – a double-page spread on every country in the world (each country regardless or size or population was treated the same), which sought to capture that country in 500 words and 4 or 5 images. Imagine the task of picking that one image or single phrase to sum up a place. It was a great challenge. The other fascinating thing about this book was working out how many countries there are in the world – not as simple as you might think! And it was a lot less than many people would imagine. It’s funny to think that something so apparently obvious as how many countries there are in the world is not common knowledge to a lot of people. 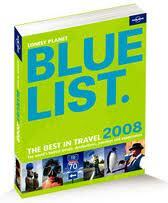 I created the Bluelist concept (lists of recommended travel experiences, sourced from LP authors and travellers) and put together a successful book, website and brand, which even made its way onto TV in the form of a short series on SBS. This is probably my favourite of the books that I’ve published. 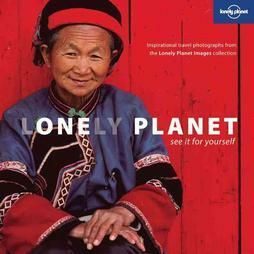 It was published for Lonely Planet’s 30th anniversary, so it had some good energy behind it from the start. And it was such a lovely concept, matching an image of people in one place with one of people somewhere entirely different doing something very similar, demonstrating the idea that despite geography we are all quite similar really. It was so much fun picking the photographs for this book – at one stage, there were hundreds of them dotted around my office on tables, floors, every surface covered – and finding a match for each. I also loved writing the captions for the photographs, as it was easy to have fun with them. It was especially gratifying when the book did so well and people the world over seemed to really like it. An extension of One Planet, this book was fun to work on too. 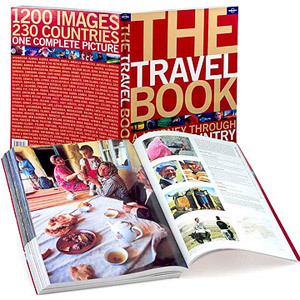 Unlike The Travel Book, which appealed so much because it was comprehensive, the unique factor of this book was in the selection of cities – the ones that made the cut generated lots of conversation within the company, in the media and amongst travellers. I really enjoyed coming up with the content ideas and headings for this book – we didn’t have a lot of space, so it was important to be able to convey the city in a word or phrase, a single icon, a person, or via a reference to a film or book. Celebrating local and community stories. At Arcadia Publishing in the USA, where I was Publishing Director, I managed the publication of over 300 local history books annually and I also successfully introduced several new series, including Black America, Voices of America, Civil War History and Sport History. It was fantastic being involved in projects on a local scale, working with individuals, communities and historical societies to help bring their amazingly rich archives of vintage photographs, and all of their stories, to life. Sample books from the Arcadia’s extensive local history program. In 2008, I also wrote and produced this little book about saving money on petrol for Hardie Grant in Melbourne. 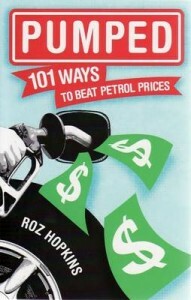 Pumped: 101 Ways to Beat Petrol Prices (published Nov 2008, Hardie Grant Books).